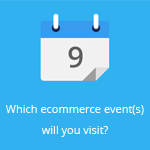 February 21, 2014 by Ecommerce News. About Logistics with tags Sweden. 3188 views. Volvo has showed off its Roam Delivery service, which turns cars into grocery dropboxes. The Swedish manufacturing company calls this groundbreaking and claims it’s the world’s first delivery service for bringing food and other items to the car. So instead of having packages delivered to your home, your neighbors of your office, you can now also choose to get the delivery dropped off in the trunk of your car. By using a special app, you can see where and when the delivery has taken place. When the delivery is accepted, a digital key will be activated which tracks when the car is opened and then locked again. The moment the delivery is completed, the digital key just ceases to exist. And off course the car can also be used as a drop off zone for delivery services to pick up items the car owner is sending off. The technology behind the Roam Delivery isn’t all new. It’s based on the functionality of the app Volvo On Call, which also let you remotely heat or cool the car and see its position or fuel level via your smartphone. Volvo made clear it created this delivery service because more than 60 percent of online shoppers have problems receiving the goods they’ve ordered online. Nine in ten people who participated in the pilot program found it more convenient to receive deliveries to their car than at home.